By now you should know that I love books. I eat and sleep with them, gaze at them with adoration and mostly read them too. I am lucky enough to live in a city entrenched in history and popularity. So, as a tribute to London during my A to Z blog challenge, I’ve decided to list my top favourite books about London. These may not be the best, but are books that I’ve enjoyed reading, browsing and gifting friends and family, who have visited me in London. London’ s Strangest Tales by Tom Quinn is a delightful and quirky book which I always gift the bookworms. It pleases, amuses and informs. You need not visit London to read it and that is why it is a wonderful book to gift, when you return home after a visit to London. I remember spending two hours in a bookshop reading it before buying it for a friend. I-know-where-that-is moments. At the most read it on the train or flight while you are travelling to London. Or, buy it once you’ve done the top 10 things to do in London. This book will take you on a truly bizarre tour of London. Some of the curious facts mentioned here might make you jump of your seat and run off to check whether the facts were true. 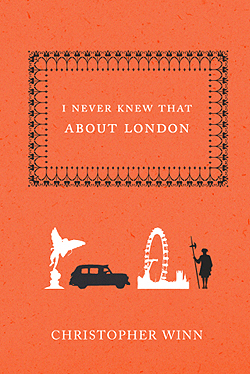 I Never Knew That About London by Christopher Winn does not have any shocking surprises or dirty little secrets but, it is treasure trove of history for the amateur historian. Real historians might turn up their noses but since I am not one of them I am happy to learn about London’s historical past in an easily digestible and amusing book. I Never Knew That About London unearths the hidden gems of legends, firsts, inventions, adventures and birthplaces that shape the city’s compelling, and at times, turbulent past. While parents rush from sight to site children need something to amuse themselves. Also young travellers need to know more about what they see around them. So my favourite recommendation is an illustrated picture book. 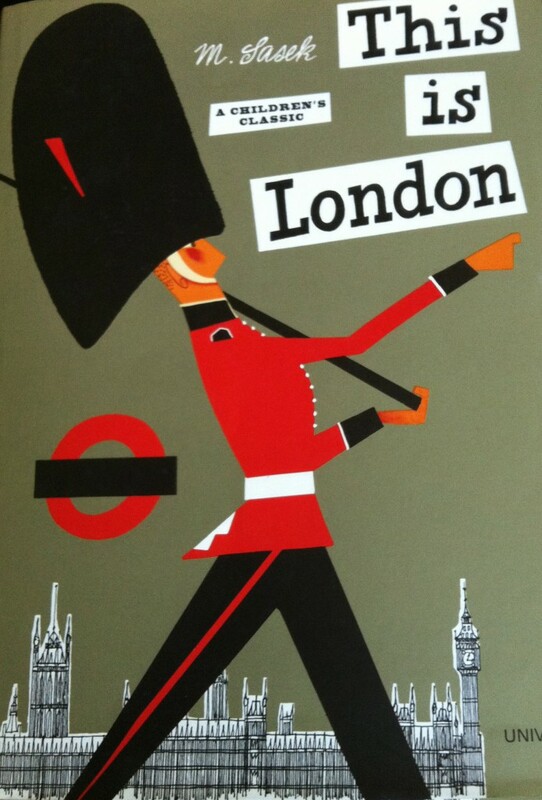 Although quite retro, Miroslav Sasek’s This is London will amuse and inform everyone. Last but one of the greatest books on London. London a Biography by Peter Ackroyd. This is for the serious Londoner, the historian, the London obsessive, who wants to know more about this massive city-like living organism. One of my recent finds at Waterstones is a gem and worth a mention. It’s unique and a window into London’s current situation with high rates of immigration. Not all immigrants are here for a chance of a better life. There are some who will always remain awestruck bystanders, or talented people who’ll look at London a little differently than most. Reading Bhajju Shyam’s The London Jungle Book changes your perspective of the world and its people completely. About the Author: Bhajju Shyam, of the acclaimed The Night Life of Trees, is the finest living artist of the Gond tribe in India. Intricate and colourful, Bhajju’s work is well-known throughout India and has been exhibited in the UK, Germany, Holland and Russia. From the walls of his tribal village home to international acclaim, Bhajju’s has been an incredible creative journey. I hope you enjoy reading and discovering books like I do. All the very best for your next trip to London. 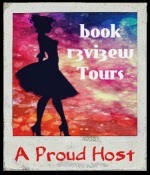 This entry was posted in Book Reviews, Non Fiction and tagged Books about London, Illustrated, London, Non-fiction on April 17, 2014 by driftingtraveller.